I’ve got an awesome freedom story for you today from Nick at Mapped Out Money. Like Chris and I, Nick and Hanna thought they wanted to graduate from school, work 9 to 5, and settle down and buy a house. Unlike Chris and I, they realized they wanted to pursue a different life pretty quickly and started working towards their dream right away. Here’s how they made it happen and you can too! I married the love of my life, Hanna, in June of 2014. We were still in school at the time. Hanna was set to start graduate school for Physical Therapy. I had a year left to finish out my engineering degree. We went through that first year of marriage like a pretty typical young married couple. We studied hard, worked hard, lived on little money, and couldn’t wait to get out of school and get real adult jobs. We had already talked about what it would be like when we had regular jobs and could buy a house. That was the dream. At least, that’s what we thought, until after graduation. Fast forward to the Summer of 2015. I had started working full time as an engineer, and Hanna was going into her second year of physical therapy school. After a couple months of working full time, I quickly realized that the regular 9 to 5 was not for me. Then I stumbled across the idea of online business, blogging, and working remotely. Hanna’s degree required an insane amount of hours studying, so I found myself with a lot of extra time on my hands. With that extra time, I decided to launch a personal finance blog, a niche that I had always been interested in. Later that year we found out about a thing called Travel Physical Therapy. Nurses, therapists, and doctors can often take jobs where they travel around the U.S. and work in different cities that need help for three months at a time. This seemed perfect for Hanna. If I spent the next two years building up my blog on the side of my day job, maybe I could leave my 9-5 when she graduated. I could work online full time and Hanna could take a travel physical therapy job! We could live in an RV and travel around the United States. We’ve always loved hiking, camping, swimming, and just being outdoors in general so this seemed perfect! Perfect and really scary! Could we actually make this a reality? Luckily we had quite a few bloggers to look up to who were RVing full time and doing exactly what we hoped to do. Being able to see other people our age living our dream helped give us the confidence to go for it. 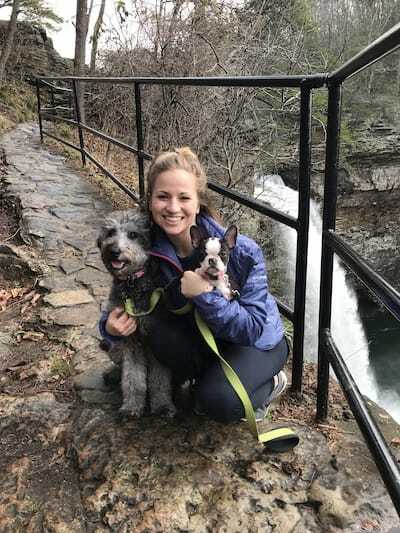 Once Hanna graduated, the overarching plan was for her to take a job as a travel physical therapist, moving to a new city every three months in our RV. During this time, I would be working full time on a blog and freelance marketing business. Hanna had two years left of school before we could pursue this plan. How were we going to get there? From a practical standpoint, we just worked an absurd amount of hours for those two years. 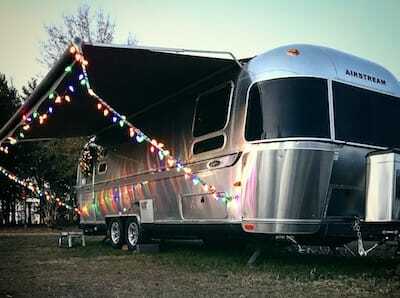 We wanted to be debt free and save for our airstream. Hanna worked her face off, getting about 60% of her physical therapy school covered via assistantships and scholarships. Then we were able to pay cash for the other 40% by living frugally and me putting in overtime at work. I averaged around 60 hours/week at my engineering job. I consistently put in 20-30 hrs/week building the blog and freelance business. During the last year, we bought our Airstream and spent eight months renovating it to make it exactly what we wanted. One of the most significant challenges was not spending money the same way some of our friends and peers did during this time. While we were trying to graduate school debt free, most of our friends spent freely regardless of student loans. While we were working insane hours, coworkers were going out for drinks multiple nights a week. During spring break we often worked extra hours instead of taking the whole week off. Of course, in our heads, we knew that the payoff was coming, but it’s still difficult not to compare yourself to those around you. When it came to pushing through, I don’t think we could’ve done it without each other. I was able to be there for Hanna when she was staying up crazy late studying for exams because I usually had blogging to do anyway. She was also there to encourage me when things on the blog grew slowly. The fact that we’ve been able to lean on each other for support has been the key to successfully pursuing our plan. One thing we’ve learned is just how little we need to be happy. Moving from a 1,100 square foot apartment to a 180 square foot Airstream trailer, we got rid of so much stuff that I didn’t even realize we had. While we always knew that stuff didn’t bring happiness, our move really reaffirmed this. We love our little home and don’t plan on leaving anytime soon. As far as our work, the long-term goal has always been for my business to support us. But in the short term, maybe 3 to 5 years, we figured we would need Hanna’s physical therapy income before that could happen. A year into Hanna’s career, it turned out not be what we had initially expected and my business was picking up faster than we imagined. With this blessing, Hanna left her job last week (March 30th, 2018) to join me full time. I had reached a point where I really needed to hire someone, so why not hire Hanna who wants to come work with me anyways? Plus, this gives us complete freedom and flexibility to travel when and where we want. It’s a win-win-win. Our life in the airstream has evolved in another unexpected way. We love traveling and seeing new places, so our initial plan was to travel for ¾ of the year and hang around family ¼ of the year. But we miss family quite a bit when we’re gone for too long. So we’ve adjusted our plan. We will hang in the South East by family for about 60% of the time and travel the other 40% of the time. We still love living in the airstream and being mobile; it’s just that we plan to stay mobile in the south for most of the year. And that’s ok with us. Want Pursue The RV Life? Be patient and think long term. If you’re serious about traveling and working remotely full time, know that it’s absolutely possible, just don’t think you’re going to pull it off in a matter of weeks. 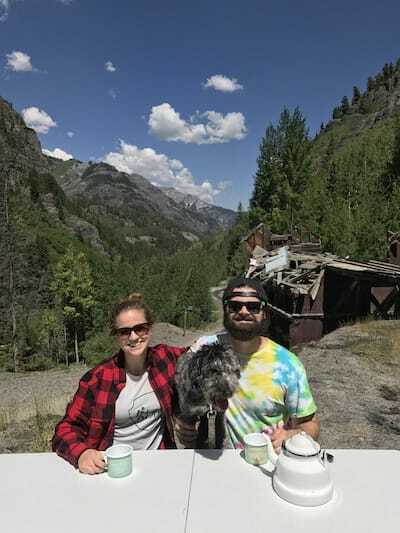 It took us two years to get from the idea of living in an RV to moving into our Airstream. Then it took another eight months to go from one of us working remotely to both of us working remotely. On top of that, none of this would have been possible had both of us not worked ridiculously hard in high school and college before we even met. Those years of working hard as teenagers allowed us to get through undergrad without student loans. If we were strapped with student loan debt right now, there’s no way we could have done this as fast as we did. Give yourself a little grace. I don’t regret working hard because I genuinely believe it was necessary to pull of what we did, but we rarely relaxed or took a moment to just breathe. Sometimes things wouldn’t go according to plan, and we would beat ourselves up or start doubting whether or not we had what it takes. These bumps in the road will always happen, you can make it through. Give yourself the grace to take a little time to sit back, breathe, and then continue making progress. Know that it won’t be easy. Our first four weeks of living in the RV were particularly difficult, nightmarish to be honest. We sent sparks flying from the Airstream and Hanna swore I caught it on fire. The cats peed on a bunch of things as they were getting used to their new home. We did an emergency renovation to build the cats a new little hideaway to get away from our dogs. Our first campground didn’t have any cell reception, and we ended up visiting three extremely dumpy RV parks just trying to find a halfway decent place to set up. We questioned everything we’d done, the lifestyle, travel, our jobs, everything during those few weeks. We made it through, but looking back, I wish we would have walked into the situation knowing things would be extremely hard and that we shouldn’t make them harder by beating ourselves up. Just because it won’t be easy, doesn’t mean it won’t be worth it. It definitely is! We really enjoy life right now. 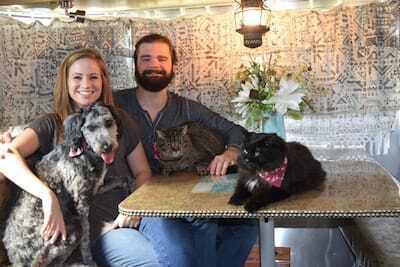 We’re having a lot of fun living in the Airstream and traveling with our pets and we don’t plan to stop at least for a few more years. However, we know that we don’t want to live in the trailer forever and eventually we want a house with some land. Hanna and I are big on hosting people and holding different events, so we know we’ll want a decent outdoor area to do that. For us, that means starting to save for a downpayment for a house and property right now even though we don’t plan to use it for a few years. As the business income increases, it will be tempting to spend more on travel. You’d think that since you’re living full time in an RV that travel is relatively cheap. 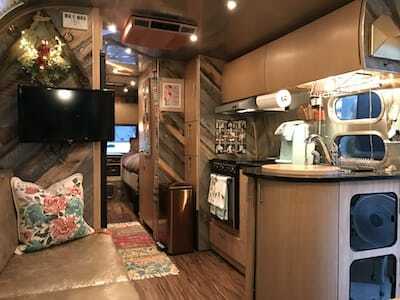 And it certainly is compared to flying everywhere, but I tell people that RV life is much like anything else: you can spend as much as you want or as little as you want. The biggest thing for us will be to continue tracking our spending and budgeting for a downpayment and retirement savings even though both of those things are a long ways off. Even as we increase income, we’ll continue to live below our means and prioritize savings so that we can hit our next big goal in a few years. Thank you to Nick for sharing his story! We love how Nick and Hanna supported each other and that they shared how difficult the journey has been at times. Chris and I have been there too, thinking that maybe we should give up. Hearing that they experienced the same struggles has helped us realize that it’s going to be OK, great even! We just need to be patient, think long term, and give ourselves grace when things get challenging! 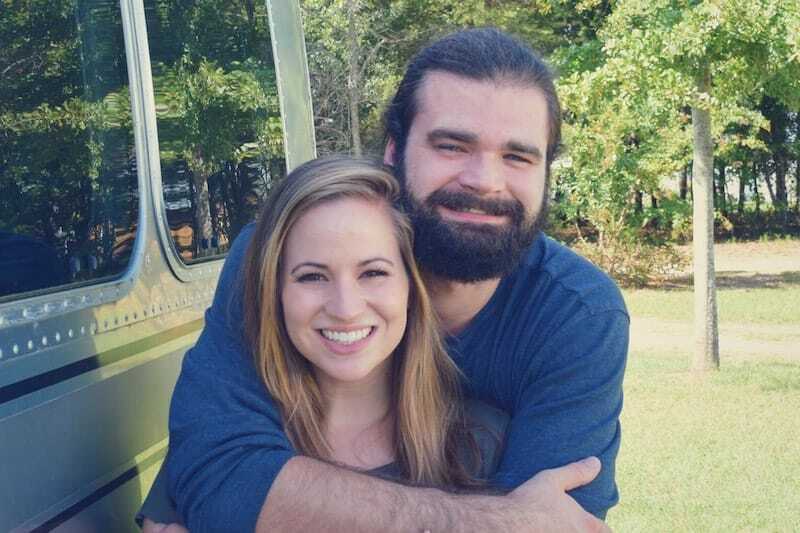 We wish Nick and Hanna the best as they work together in their RV and save towards their future!